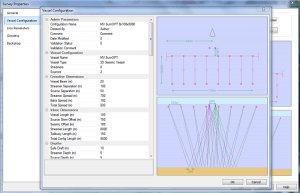 QuickPLOT Pro integrates seamlessly with SurvOPT and is used to accurately and efficiently generate 2D, 3D, Multi Azimuth and Wide Azimuth preplots using a simple wizard interface. 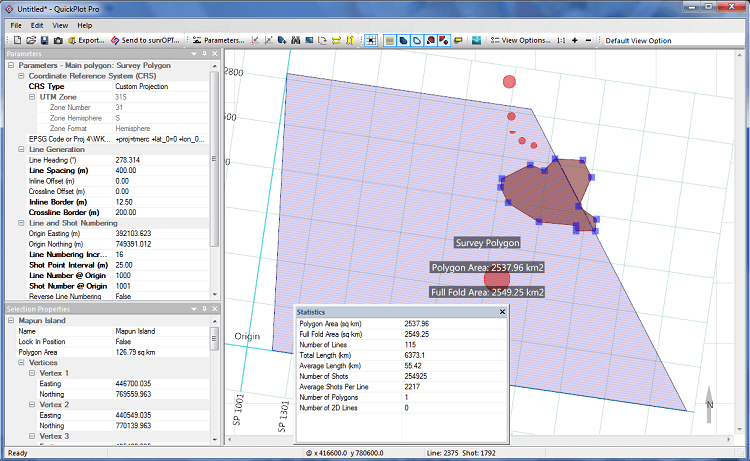 Once created the 3D polygon and 2D lines can be edited using QuickPLOT Pro’s click and drag map interface. A suite of advanced manipulation tools are available including Duplicate, Rotate, Optimize Azimuth, Tidy Polygon and Normalize Origin. 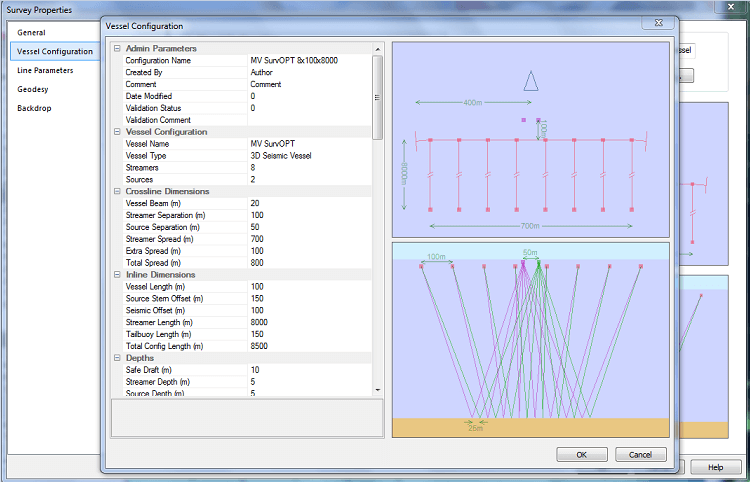 Vessel configuration files allow parameters for commonly used vessels to be saved and easily re-used in multiple projects, ensuring consistent planning results across your entire organisation. Stored items include basic values such as number of steamers and sources, dimensions such as streamer separation and length and source separation, performance values such as vessel turn radius and speeds, through to preplot line generation and receiver parameters.